March 24 marked World Tuberculosis Day—an opportunity for reflection on an illness that, despite being highly preventable and curable, claims more lives each year than any other infectious disease. In 2017, TB killed 1.6 million people, including over 230,000 children under the age of 14. Since last March 24, global health leaders repeatedly have signaled the urgency of the TB crisis. In September 2018, the United Nations convened the first ever High-Level Meeting on TB, ratifying a political declaration containing commitments and strategies to accelerate prevention, diagnosis, and treatment. Over the past year, organizations without a primary focus on TB have bolstered their portfolios in recognition of the grave threat the epidemic poses to global health. For example, the Elizabeth Glaser Pediatric AIDS Foundation (EGPAF), where I serve as President and CEO, has launched Catayzing Pediatric TB Innovation (CaP TB) a four-year project with Unitaid that will make child-friendly TB medications and diagnostics available in India and nine sub-Saharan African countries. The project will also bring services closer to patients and caregivers, and will include work within communities to identify cases of latent infection that could eventually develop into serious illnesses. It may seem strange that an organization like EGPAF is dedicating so much energy to fighting TB. After all, our mission is to end pediatric HIV; our name suggests a single-disease focus; and our early agenda, for which we are best-known in the United States, was the necessarily singular goal of making antiretroviral drugs available to children who were dying without treatment. Indeed, HIV is the leading risk factor for TB, and TB is one of the greatest threats to the health and survival of people living with HIV. For children especially, coinfection with HIV and TB is a serious threat. Approximately one million children fall sick with TB each year, and those who also have HIV face higher rates of mortality than those who don’t. 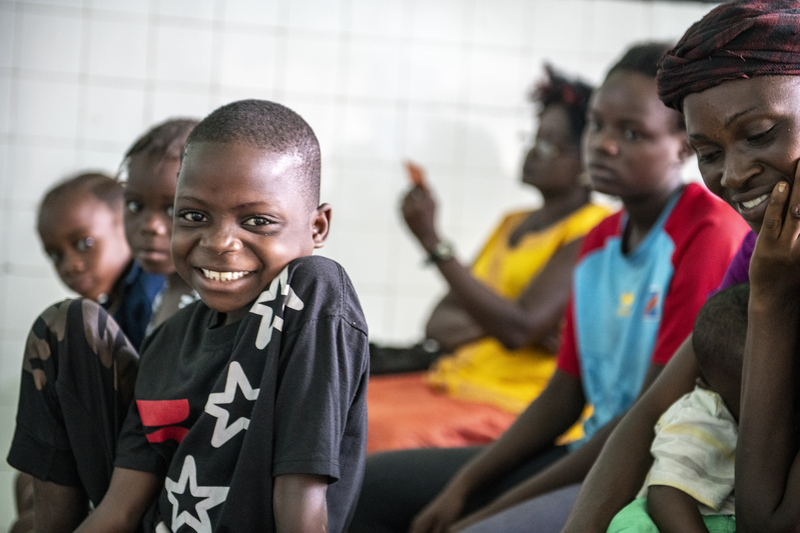 By integrating TB screening and treatment into other healthcare delivery sites—for instance, at EGPAF-supported maternal and child health facilities, nutrition wards, and HIV clinics—we can cater to the patient, rather than to a single disease he or she may have. The integrated approach not only makes care more accessible for people who often find treatment prohibitively costly or inconvenient, but also promises to reduce redundancies in already-overtaxed health systems, and make the most of existing investments. For example, thanks to PEPFAR and other longstanding and well-funded projects dedicated to ending AIDS, EGPAF and fellow legacy implementers of HIV programming have existing infrastructure, enduring relationships with local partners and country governments, and decades of experience in the specific communities in need of stronger and more comprehensive health systems. These advantages make integration of other health services efficient for us, as well as the communities in which we are already working. Incorporating TB diagnosis and care into systems built around HIV is not only important for the patient and community. It’s also a strategic boon to the original mission of ending AIDS. Undiagnosed TB can derail adherence to antiretroviral drugs and drive replication of HIV within the body—both of which make a person sicker and more infectious. On the other hand, presentation of TB symptoms can often tip off healthcare providers about underlying HIV—meaning AIDS organizations can actually improve diagnostic efforts by integrating HIV testing into other types of care. For organizations like EGPAF, investing time and resources in fighting TB is not only a necessary step toward improving the overall and long-term health of the patients and communities we serve. It’s also absolutely essential if we are ever to achieve our vision of a world without AIDS. As Anele Yawa, General Secretary of the Treatment Action Campaign has stated, “Tuberculosis and HIV are like a brother and sister. We cannot separate them.” Let’s continue to treat them as such—and save lives in the process. Charles “Chip” Lyons has been president and CEO at the Elizabeth Glaser Pediatric AIDS Foundation since January 2010. He served as director of special initiatives for the Bill & Melinda Gates Foundation’s global development program. He was also president and CEO of the United States Fund for UNICEF, as well as chief of staff to the executive director, and program officer at UNICEF Mozambique.